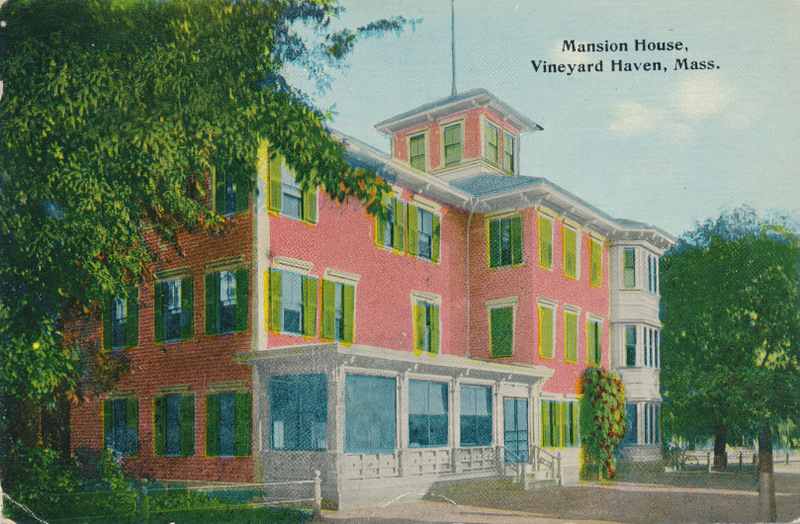 The Mansion House, Vineyard Haven, has been sold to George H. Heeley of Providence, R. I., through the real estate office of Henry V. Sanders of New Bedford. This is one of the best known hotels in South Eastern Massachusetts and passed from the Look family after 52 years under their management. Commencing in 1870 it was for 48 years under the control and ownership of Emeline W. Look. At her death in 1918 it was passed to the management of her eldest daughter, Mrs. C. F. Lane, ably assisted by here youngest daughter, Mrs. A. L. Baker. Now increasing years make it imperative for younger hands to assume its care. Mr. Heeley, a well known and successful hotel man has purchased the business together with the hotel furnishings and secured a lease of the property for a term of years. On June 1st, 1922, Mr. Heeley will take possession of the hotel.